"In the consumer market, Apple's iOS and Android's licensees have engaged in a consumer tug of war over sales. 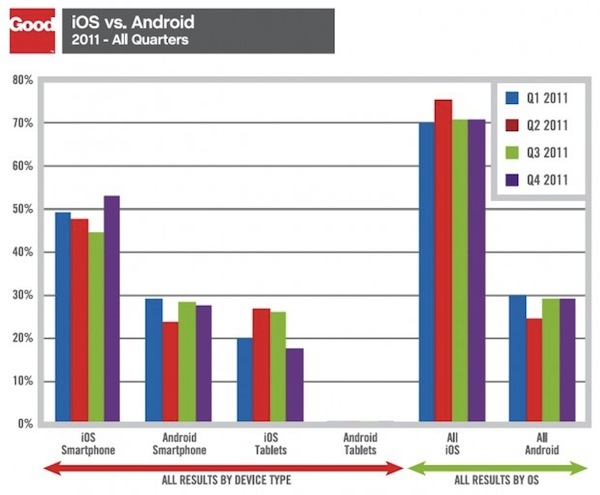 Among enterprise buyers however, Apple has maintained extensive lead that is only strengthening." Interesting read on how Apple has maintained marketshare and in fact increased it over Android when it comes to the enterprise market.